The name Marva Collins has become synonymous with the title “educator.” Collins was born Marva Nettles in Monroeville, Alabama on August 31, 1936. She was raised in Atmore during the years of segregation and attended schools that had limited resources, few books, and no running water. But her family instilled in her a sense of pride and a desire for excellence. Her father, Alex Nettles, was himself a successful businessman. After graduating from Clark College in Atlanta, Collins taught for two years in Alabama. She then moved to Chicago and taught in the public school system there for fourteen years. As an educator and a parent, Marva was appalled at what she saw in the school system. In 1975, with $5,000 from her work retirement account, Collins opened her own school using the second floor of her home. She called it the Westside Preparatory School and it opened with only six students, including her two children. Collins’ school accepted students of all kinds, many of whom had been failed by larger school systems and many of whom had been diagnosed with learning disabilities. By the end of the first year, her students were already showing enormous improvements in their test scores. Her school quickly expanded into a new facility and became an important center of education on the south side of Chicago. Collins’ teaching centered on the Socratic Method, and she emphasized phonics, math, reading, English, and the classics, such as Homer, Plato, Chaucer, and Shakespeare. She challenged her students, and they responded. Many went on to prominent colleges and universities across the United States and to successful professional careers. Because of her remarkable record, Collins quickly attracted wide attention, and in a short time she emerged as nationally recognized speaker, author, and educational mentor. In 1981, she was the subject of a television movie, The Marva Collins Story, starring Cicely Tyson and Morgan Freeman that added further to her fame. 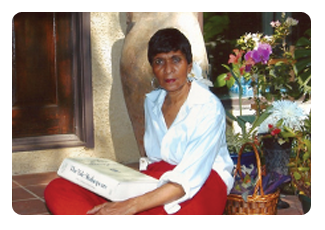 In 1990, she wrote a highly acclaimed book about education entitled “Marva Collins’ Way”. She was also the subject of a major story on Sixty Minutes. Throughout these years, Collins traveled extensively as a speaker, sending most of her earnings back to her beloved school. Collins has received numerous awards, including the Jefferson Award for Benefiting the Disadvantaged, the Humanitarian Award for Excellence, and in 2004, one of the highest honors awarded to an American citizen, the National Humanities Medal. Collins has also received honorary doctorates from Amherst, Dartmouth, and Notre Dame Universities. Marva Collins continues to have a lasting and positive impact on America’s educational system and the lives of hundreds of students.